This is a product category is briefing about a type of bag is basically developed from polypropylene bag. We have established our name as the manufacturer and exporter of all type pp woven bags and our dealing is regarding customer’s requirement. PP Woven Bags are available at market leading rates. These woven bags are available as per the client’s specifications. 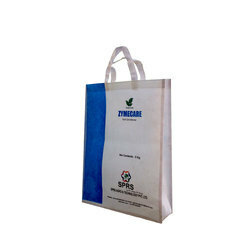 These bags are offered in both laminated and UN-laminated forms as per the specific packaging needs of the industry. This range of the products are manufactured utilizing optimum grade raw materials sourced from the reliable vendor of the market. These bags come with or without liners to suit the varying demands of the clients. Available in different shapes and sizes, these bags are customized as per the specification listed by the customer. We fabricate these woven bags using optimum quality raw material based on latest techniques and standards that meets the international quality standards.